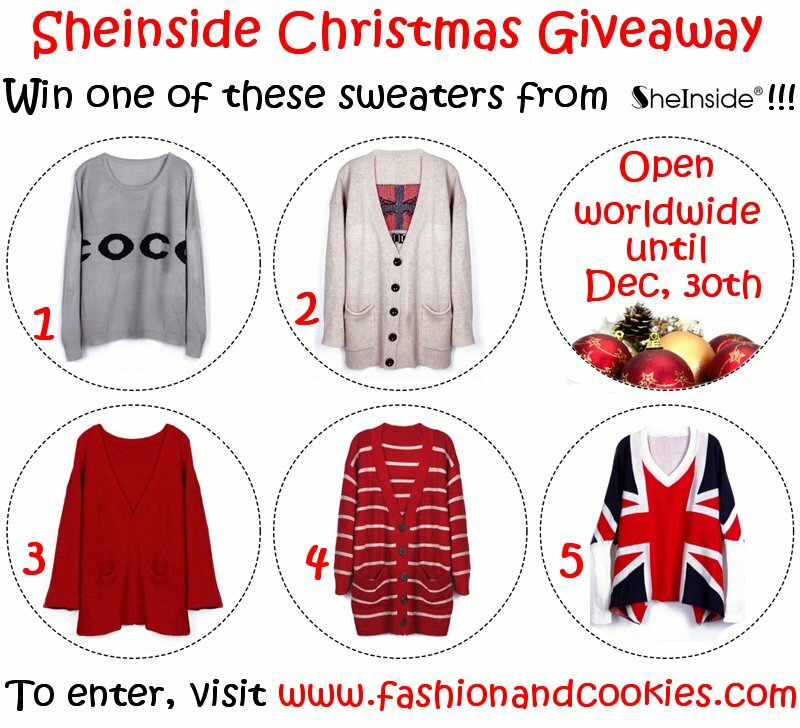 Christmas holidays make me think about home, good food, joyful times, presents and also about cozy sweaters...Sheinside is giving the chance to Fashion and Cookies followers to win one of the sweaters in the pic above with this international Christmas giveaway !. The Giveaway is starting now, open until December 30th, using Rafflecopter form you can find at the end of this post. The winner will be selected randomly with Rafflecopter, announced on the blog and the name will be given to Sheinside. Good luck everyone :). I love the grey one.!! stunning!! I love all but my favorite is 1 and 5. 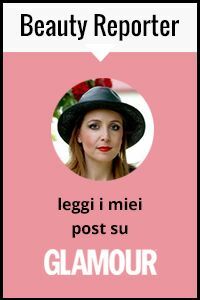 La cabas è bella ma la vedo delicatissima come la mia proenza, io darei una chance alla philip lim!! I would like to win sweater number 5, White and Navy V-neck Batwing Sleeve Union Jack Flag Pattern Sweater. I'd love the COCO sweater. I like # 1 sweater! I love # 3 sweater. I want the red sweater with white stripes. Number 4! I like the 3rd one - Red V-neck Simple Style Pockets Front Sweater Coat. thank you so much! Fingers crossed!! I'd love #5, thank you!! I like 2 the most! My favourite one is Sweater №2 - Apricot Pockets Front Union Jack Pattern Back Sweater Coat! no. 5 is, by far, my favorite ! I loved the fifth one!! Vote for no. 5!! Please come to my blog. The 2nd sweater! I love it! I'm your newest follower!I follow you on pinterest and with bloglovin. I love Apricot Pockets Front Union Jack Pattern Back Sweater Coat! I love sweater number 5!!! love the union jack one! I love sweater number 1!!! Thank you for adding your event to my Rafflecopter Linky!! Stop by anytime!! Merry Christmas!! I adore sweater #4. Divine!! Sweater 1. I'm in love!! My favorite is the # 2 sweater. I love #2! Just my style, really. I think sweater #3 is very elegant and beautiful. This would be a wonderful sweater to own and wear in style and comfort. I like the Red V-neck Simple Style Pockets Front Sweater Coat. i love the COCO sweater!